Lisa Gresham is a Certified Divorce Financial Analyst and founder of Equitable Divorce Solutions, LLC. Ms. Gresham has over 30 years of experience in the financial and investment industry. Since 2003, she has focused her practice solely on the complex financial issues specific to divorce. She works with individuals, mediators and collaborative professionals to navigate through all stages of the divorce process. As a financial professional trained in Mediation and Interdisciplinary Collaborative Divorce, Ms. Gresham concentrates on budgeting, evaluating tax and cash flow implications with possible settlement scenarios and long term projections in order to help her clients achieve a workable settlement and a plan to meet their immediate and future financial needs and goals. Ms. Gresham is a member of the International Academy of Collaborative Professionals, American Bar Association, Institute for Divorce Financial Analysts and Divorce Solutions of Connecticut. 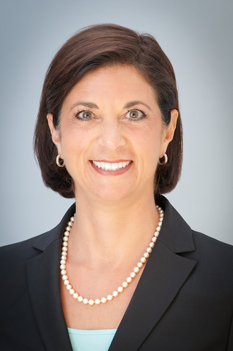 She is also on the Executive Committee and Treasurer for the Connecticut Council for Non-Adversarial Divorce, and is the past treasurer for the Women & Family Life Center, in Guilford, Connecticut. Ms. Gresham is one of four partners of CT Family Mediation Training Group, an organization providing divorce mediation training to attorneys, financial and mental health professionals. She teaches public educational seminars on the financial aspects of divorce and has been a guest on “Smart Money”, a financial radio show sponsored by Barnum Financial Group and broadcasted on WELI. Prior to forming her own company, Ms. Gresham worked as a financial advisor with several brokerage firms and as the director of client service and marketing for a major institutional money manager. Ms. Gresham practices in Connecticut and New York.